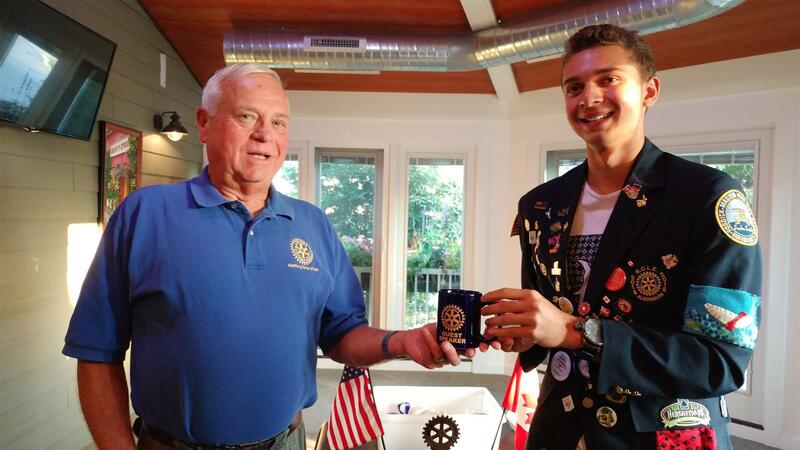 Canaan Delgado recently visited the Rotary Club of Hamburg to speak to the club about his experiences as an exchange student in Spain sponsored by the Rotary Club of Buffalo. Pictured are Delgado, left and Rotary President Jerry Bastedo. The Rotary Club meets Tuesday evenings at 6 at JP Fitzgerald’s Restaurant.